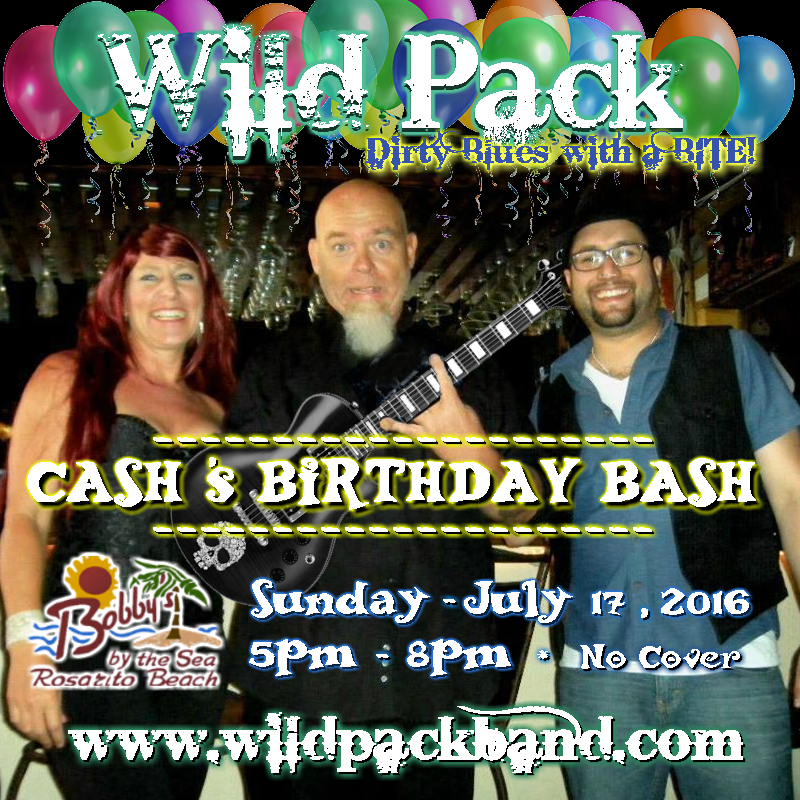 SUNDAY - JULY 17, 2016, Bobby's by the Sea is hosting CASH's Birthday Bash! Everyone is welcome to celebrate with WILD PACK. The trio will be rockin' out their Dirty Blues from 5:00pm - 8:00pm. Early enough to join eat and party hardy! 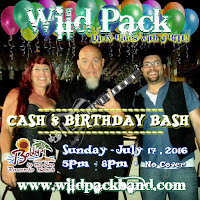 Wild pack will be LIVE on the patio at Bobby's By the Sea! Carretera Libre Rosarito-Ensenada Km 43, 22700 Puerto Nuevo, B.C.